Thursday, June 24 – Layover day in La Malene | Say Mar Say! - C'est Marseille! 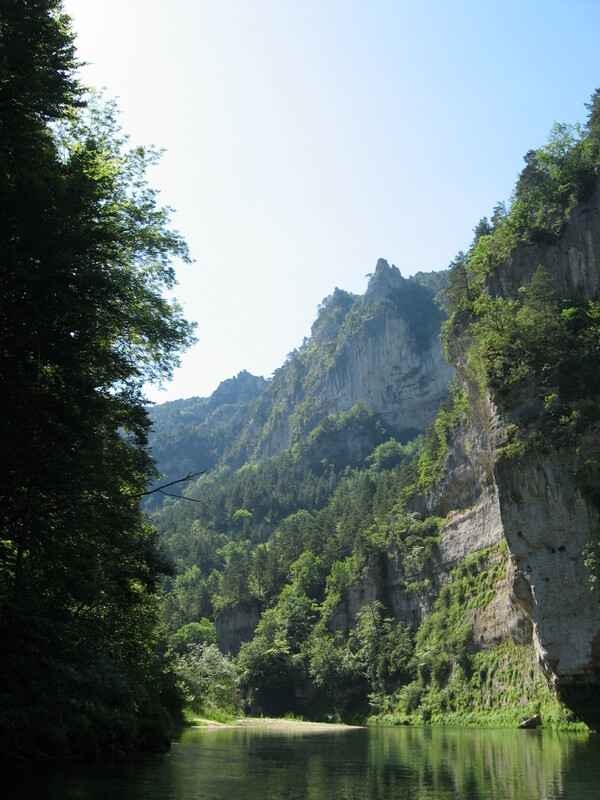 « Friday , June 25 – Walked from La Malene to Les Vignes – 12.5 kms. 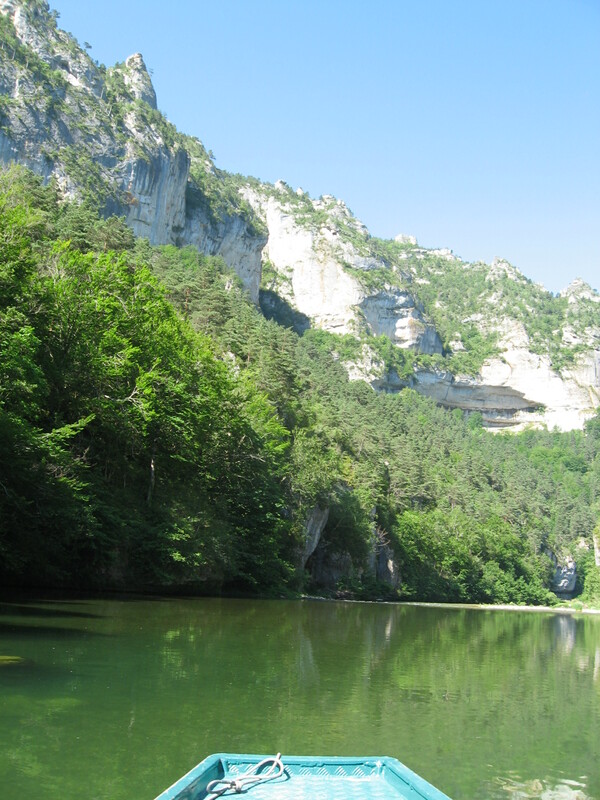 Peggy took a guided boat trip on the Tarn through the most narrow canyons of the Tarn. I hiked the causse (limestone plateau) on the other side of the Tarn up to a spectacular viewpoint called Roc de Hourtouse, 16 kms. 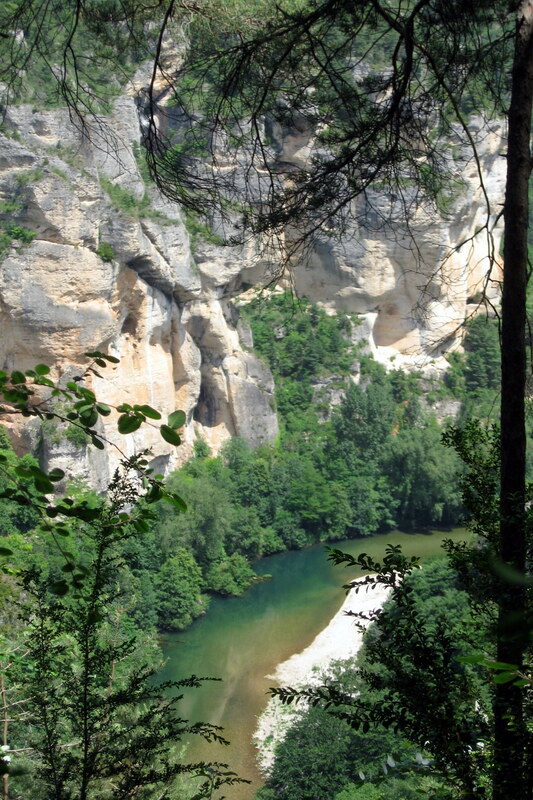 Beautiful trail going up through forest to a flat causse and views on top, then a rapid descent and a walk along the river back to La Malene. Peggy now feeling much better. Dined at the fancy auberge in a beautiful courtyard with many English speakers around. This entry was posted on February 7, 2013 at 10:09 am and is filed under Hiking In France. You can follow any responses to this entry through the RSS 2.0 feed. You can leave a response, or trackback from your own site.